Join us for this annual event, happening Crab Carnival weekend. Apparatus will be on display beginning at 2P.M. and parade begins at 7. Come see us! Are you interested in serving your community and making a difference? 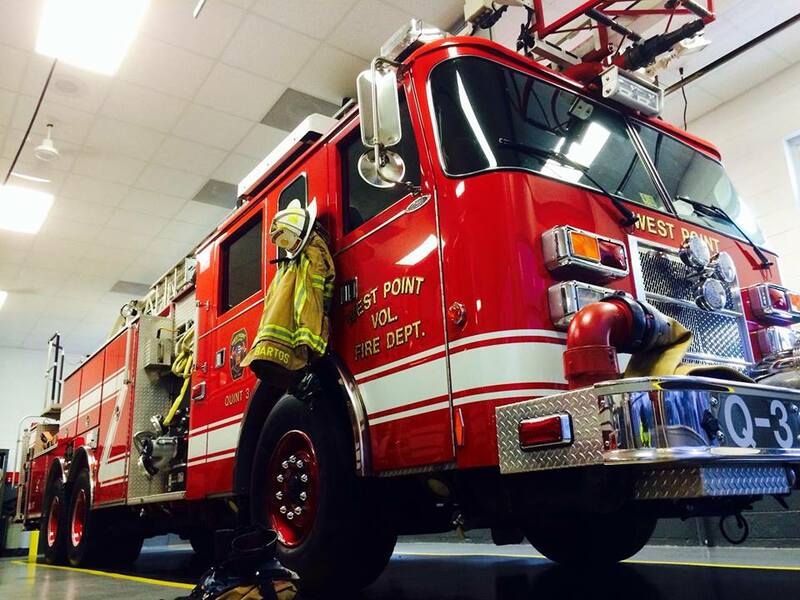 The West Point Fire Department is actively recruiting new members! No experience? No problem – we can train you! Stop by the fire station or click here for more info. 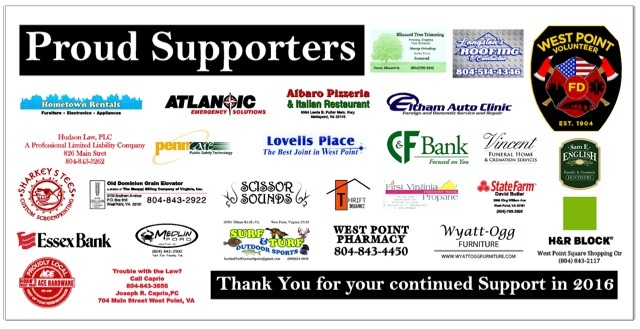 Thank you to our local sponsors for their continued support throughout 2016. It means a great deal to the department and helps us better serve our communities! The West Point Volunteer Fire Department proudly serves the communities of West Point, King William, New Kent, and King and Queen. The West Point Volunteer Fire Department is dedicated to providing the highest level of service to our community and upholding the public’s trust placed in our organization. Make a donation and help us keep our community safe. Input insurance information and pay your ambulance transport bill here. Become a member. Make a difference, help pay for college. Get a copy of Forged in Fire - the first full-length account of the 114-year history of the West Point Volunteer Fire Department. Useful information and links for West Point residents.